Come be a part of the first ever comic book convention highlighting the talents of women comic book creators! I am so excited and honored to be an exhibitor! 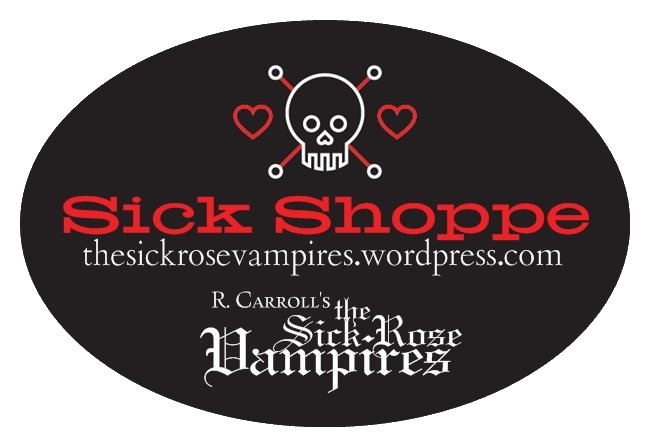 I will be signing copies of Blood & Alcohol, promoting the next book, Skin of the Night, and premiering the new line of Sick Shoppe merchandise featuring my original geeky fan art. You may see a list of items that will be available here. I will also be bringing my one-of-a-kind Barnabas Collins trinket boxes to the show. General admission to all ComiqueCon panels / workshops (depending on space availability), exhibitor room, and full access to the Arab American National Museum galleries. Cosplay / fancy dress encouraged! Advance General Admission Tickets $10.00 Advance pricing ends on Thursday, November 4th at midnight. Friday night, November 6th, there is a VIP meet and greet with buffet dinner at Green Brain Comics on Michigan Ave. in Dearborn 8:00pm – 10:30pm . There are a limited number of tickets for an exclusive VIP party at Green Brain Comics the night before ComiqueCon. ALL of ComiqueCon’s featured guests will be present for mingling, the store will be open for business exclusively for ticket holders, and a Mediterranean buffet dinner will be served. Cosplay / fancy dress encouraged! As of now I am going as Doctor Doom. Please purchase tickets for the VIP event at comiquecon.com. The Detroit Free Press wrote a great article about ComiqueCon, talking about how and why it came to be, the featured guests, and some of the days events. Check it out! RSVP on my facebook event page here! Halloween may be over, but I will still be celebrating the vampire this weekend at ComiqueCon. The publishing date of my next book has been pushed back because I’ve been running around getting things ready for the show. With the new offerings and updated table display, I think my fans will be pleased. Hopefully, I’ll make some new ones! Best of luck to this year’s NaNoWriMo particiapants!